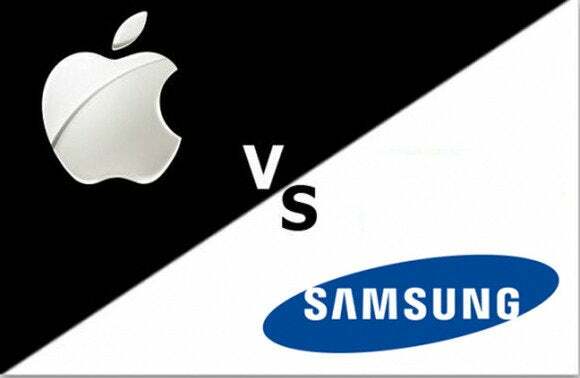 A court in California has ruled against Samsung Electronics’ attempt to stay the proceedings in a patent dispute with Apple, agreeing with Apple that the procedure for reexamination of its patent could take years, and there was no certainty the result would benefit Samsung. Samsung had asked for a stay in a damages retrial even as the jury had started deliberations. It informed the court that the examiner at the U.S. Patent and Trademark Office had issued an “Advisory Action” finding all claims of the U.S. Patent no. 7,844,915 (the ‘915 patent) invalid. It described the Advisory Action as the examiner’s final word on the invalidity of the patent. Known as the “pinch-to-zoom” patent, the Apple patent is a key patent in the dispute between Apple and Samsung. It covers the ability to distinguish between the scrolling movement of one finger and two-finger gestures like pinch-to-zoom on a touch-screen to activate certain functions. The jury would be deliberating on awarding damages on an invalid ‘915 patent for 12 of the 13 products at issue, Samsung said in its filing in the U.S. District Court for the Northern District of California, San Jose division. Apple countered that the patent reexamination proceedings will not be final even at the USPTO level until the end of 2016 at the earliest. The company reserved the option to subsequently appeal to the USPTO’s Patent Trial and Appeal Board (PTAB), and if unsuccessful, seek judicial review in an appeals court. The damages retrial went ahead despite Samsung’s emergency motion, and on Thursday the jury ordered Samsung to pay $290 million to Apple for infringement of several of its patents in its smartphones and tablets. Judge Lucy H. Koh had ordered a retrial after vacating $450 out of $1.05 billion in damages awarded by a jury to Apple in August last year. She asked the new jury to recalculate the vacated part of the damages. In her order on Monday, Judge Koh largely agreed with Apple’s view of the options available with the company in the reexamination of the patent, including an appeal to the PTAB, and the option of appealing an adverse decision by the board in the U.S. Court of Appeals for the Federal Circuit. “Apple is correct that it is entitled to file a response to a ‘final’ rejection within the period allowed for response, and that the response may still result in the Examiner’s withdrawal of the rejection or allowance/certification of the claims under reexamination,” Koh wrote. Apple will also be affected by a stay as already one year and three months after the jury verdict, the company still has received no damages award as compensation because of the retrial, Judge Koh wrote. A stay of the entire case, pending a final decision on the ‘915 patent, “would thus substantially prejudice Apple,” she added. Rather than wait for a review after a USPTO decision and a PTAB review, it would be more efficient to move forward with post-trial motions concerning the damages retrial and enter a final judgment in the case so that the Federal Circuit may as soon as possible review the entire case on appeal including the validity of all of Apple’s patents, the Judge wrote. “If Samsung is truly concerned about efficiency, the Court encourages Samsung to discuss with Apple an agreement to forgo post-trial motions so that the parties can expeditiously appeal this entire case to the Federal Circuit,” she added. If the Federal Circuit finds other errors with either the 2012 trial or the limited damages retrial, this case will have to be retried again anyway, Koh noted.